Slipknot have also announced the Prepare For Hell Tour - a major North American headline tour with very special guests Korn and openers King 810 - kicking off October 29 in El Paso, TX and traversing North America through December 7. 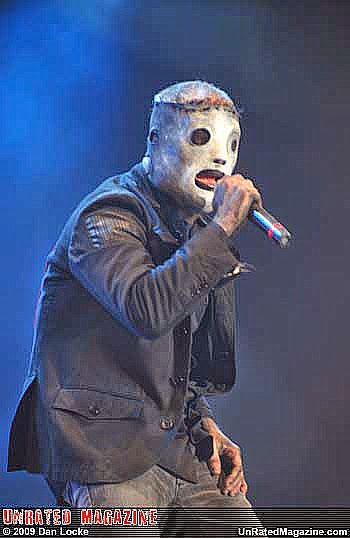 "We've been waiting a long time for this," stated Slipknot’s Corey Taylor. "Not only do we get to tour with friends who we respect, we've also chosen a band that represents the fury of the future. Slipknot is coming to your town. And hell's coming with us." Slipknot emerged at the tail end of the Twentieth Century and quickly established itself as the most enigmatic, provocative and aggressive collective of the modern era. 1999’s SLIPKNOT stands as a true milestone, named by Metal Hammer as the “Best Debut of the Last 25 Years.” The album fast earned 2x RIAA platinum certification, with each of Slipknot’s following releases – including 4 video albums – all receiving additional platinum in the US and around the world. All told, the band have 11 Platinum and 38 Gold record certifications around the world. Slipknot's fanbase is unwavering and they are global - the band’s most recent studio effort, 2008’s platinum certified ALL HOPE IS GONE, debuted at #1 in seven countries including the U.S. Surely as iconic as any band in the annals of rock, Slipknot has starred on the cover of innumerable national and international publications, from Rolling Stone, SPIN, and Alternative Press to Guitar World, Revolver and Billboard. What’s more, Slipknot has received myriad honors, awards and nominations, including a GRAMMY AWARD® for “Best Metal Performance” as well as six further GRAMMY nods, multiple Kerrang! Awards, Revolver Golden Gods Awards, NME Awards and Metal Hammer Golden Gods Awards as well as nods for both MTV Video Music Awards and MTV Europe Music Awards.